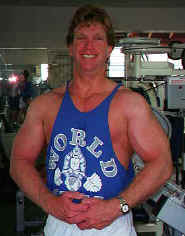 Kevin has over 20 years of experience in fitness with extensive knowledge in multiple training techniques. Kevin’s background includes competitive cycling, golf and golf-specific training as well as bodysculpting and strength training. Kevin is one of Jason’s Elite High Performance Trainers, having schooled intensively with Jason for years. Kevin Murphy is available for both in gym training in West Hollywood as well as in home personal training in Beverly Hills, West Hollywood Hills, Hollywood Hills, Trousdale Estates, Crescent Park, Oakwood, Park Labrea, Hancock Park and adjacent areas.